Personalized gift for new homes and new homeowners! 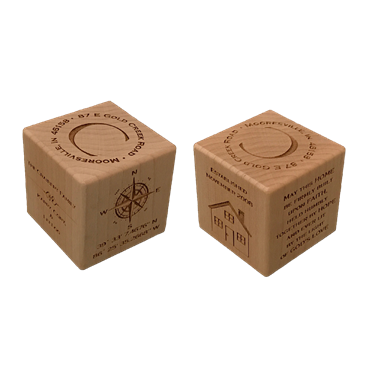 Each block is laser engraved with the details of the new home. 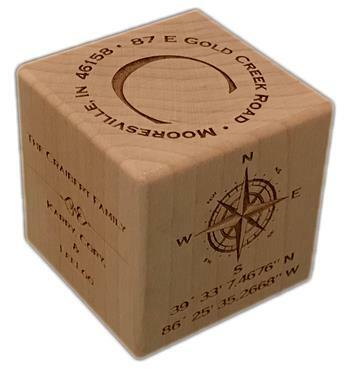 Engraved details include: Last name initial, last name, address, family members' first names, GPS coordinates, and date established. 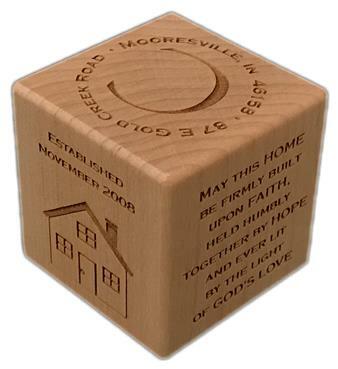 Our Realtor Block is handcrafted in Mooresville, Indiana USA.